Mac Miller's death led the couple to put off nuptials, but that didn't stop them from adding a new family member. 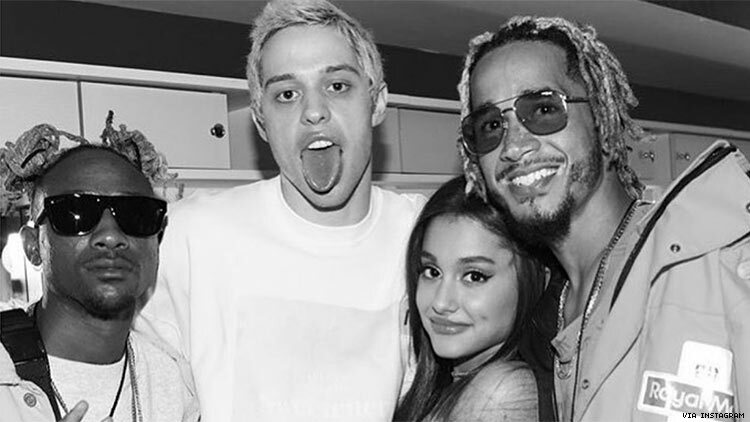 Ariana Grande and fiancée Pete Davidson have apparently put off their wedding after Grande's previous long time boyfriend, rapper and producer Mac Miller died last week. But if you've been following her Instagram feed they apparently adopted a new family member — a baby pot bellied pig. Their wedding that was originally rumored to be planned for August 4th, 2018, in honor of Davidson's father's firefighter badge number 8418 (which Davidson posted on Instagram and subsequently deleted). Davidson's father died while on duty during the terrorist attacks on the World Trade Center on September 11th, 2001. According to the tabloids and GQ magazine, "Davidson presented Grande, 25, with a $93,000 pear-shaped diamond in June, after just a few weeks of dating. According to Davidson, it happened even quicker than that. "The day I met her, I was like, 'Hey, I'll marry you tomorrow,' " he says, grinning. "She was calling my bluff. I sent her a picture [of engagement rings]. I was like, 'Do you like any of these?' She was like, 'Those are my favorite ones,' and I was like, 'Sick.' "
We look forward to their impending nuptials.